After his ordination in October 2014, Deacon John continued to minister to the elderly he connected with, which brought him so much joy. 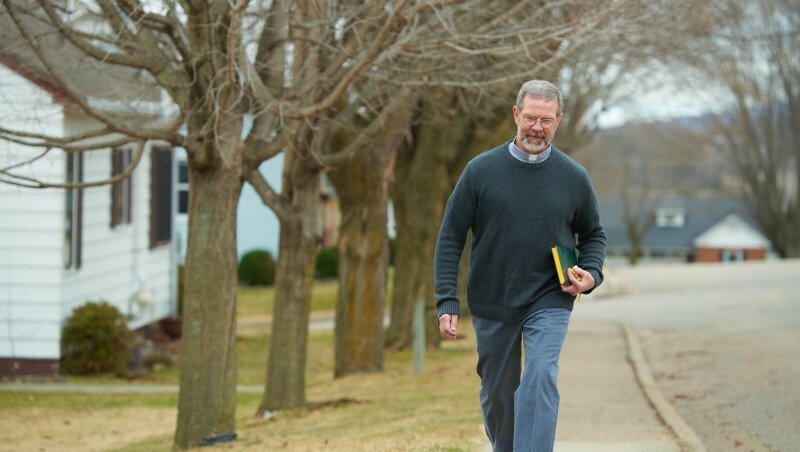 That pastoral field module was completed, but Deacon John could not walk away from the relationships he had forged in the rural back roads of the diocese. The requirements for his work are simple, yet complicated. The easy part is listening. The challenging part is responding to expressions of pain and suffering in a way that brings hope to the person sharing their concerns. Deacon John believes our busy younger lives don’t always allow time for reflection, but when we can’t do anymore, it is the perfect time to turn inward and just be. We can develop a spiritual relationship with God. 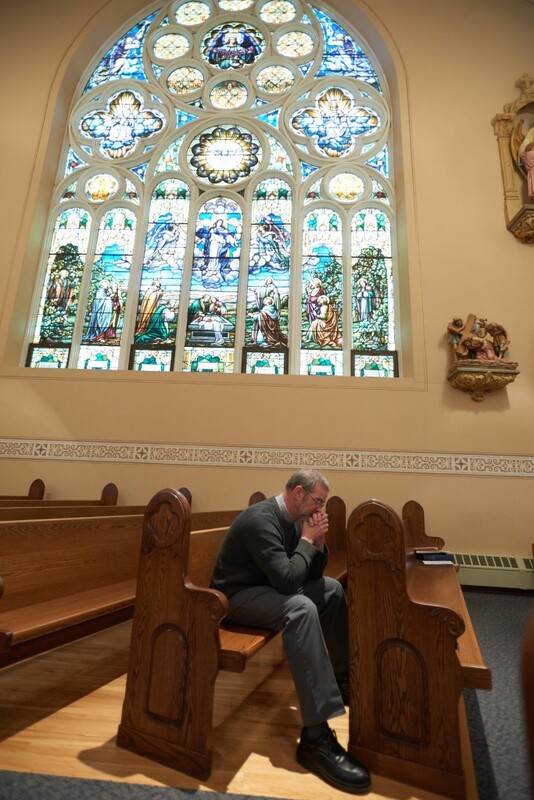 Bringing the comfort of Christ and reminding of God’s love require Deacon John to make a strong connection. Most of the people he has met with are widows who live alone out in the country. His goal is to not just reach out spiritually, but to remind them of their connections here on earth. Alzheimer’s and dementia are afflictions for some of Deacon John’s friends, and he makes it a point to research what is happening to them and how he can reach out and provide comfort. He has learned older memories are the clearest for his friends struggling with dementia. “They are doing what they can with what they have,” Deacon John says. “They learn to communicate with their eyes.” Voices and sound are more easily recognizable than appearance. Reciting prayers is a perfect way to connect with those who don’t recognize faces or appearance. Deacon John hosts a little prayer service, including daily readings, common Catholic prayers and maybe even saying a decade of the rosary. Joy and fun are a big part of Deacon John’s visits with his friends. Like the way it is in families, there is always good-natured teasing and laughter during almost every visit. He appreciates the way children share the visits with their elderly parents. Life after death is also part of Deacon John’s visits. The discussions have been a helpful reminder for Deacon John as his friends began to leave this earth and make their journeys to heaven. The need is great for those who might want to begin their own ministry projects. Getting started is not as hard as people might think, believes Deacon John.